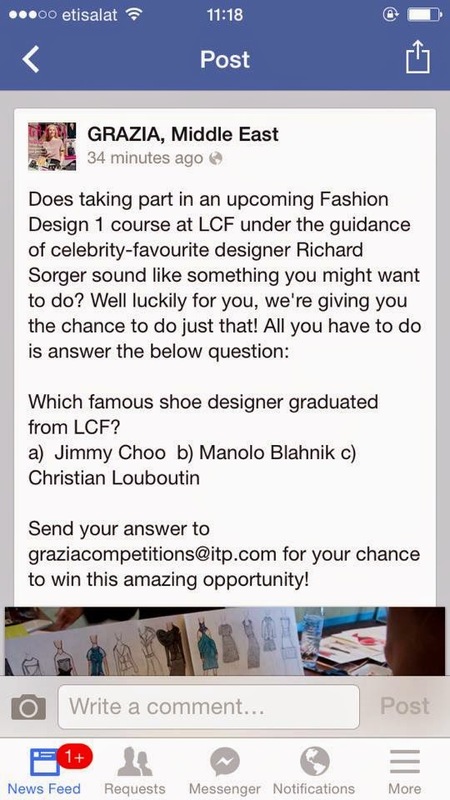 Competition With Grazia Middle East! 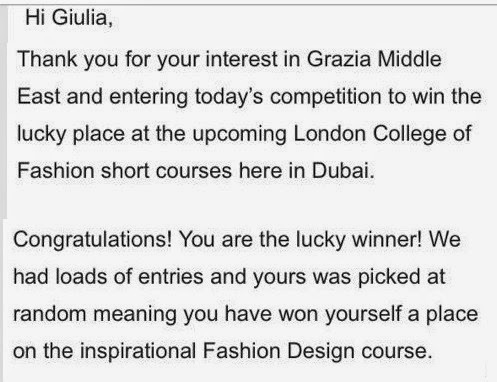 I’M THE LUCKY WINNER: There was this competition with Grazia Middle East and if you answer the question correctly, you would get the chance to win a short course with London College of Fashion- which will be taking place in Dubai! So I gave it a shot and emailed with the answer and BOOM, I won! How freaking LUCKY was I? I’m so excited!!! I get to do these classes of fashion design with such a cool lecturer! It’s awesome! My summer could not have started in a better way!  Don’t forget to click “like” on their Facebook Page and Follow @grazia_me on Instagram! Also, I’ll be writing an article all about my short course classes with London College of Fashion so stay tuned! Don’t forget for all you girls who want to book a place you can read all the details over here which are taking place here in Dubai.